One common misunderstanding about FHA loans and FHA refinance loans has to do with the difference between FHA loan minimum standards and the standards of a specific financial institution. The FHA loan rulebook is often not the final word on certain issues. 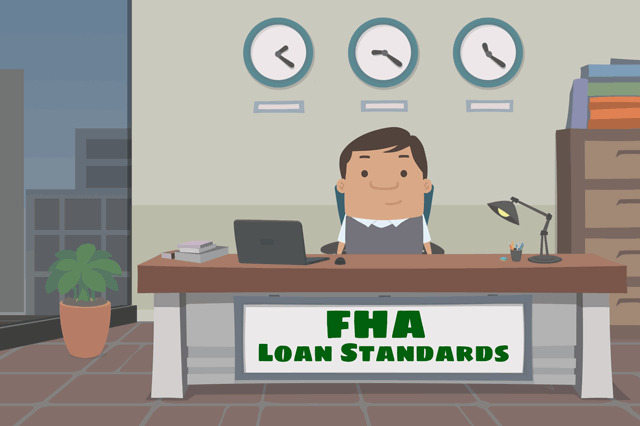 June 9, 2016 - One common misunderstanding about FHA loans and FHA refinance loans has to do with the difference between FHA loan minimum standards and the standards of a specific financial institution. Did you know that while FHA loan rules have specific guidelines for lenders, the FHA loan rulebook is often not the final word on certain issues? Sometimes the final say comes from state law, such as in cases where a legally married couple want to buy a home but only one party wants to be obligated on the loan. Community property laws may dictate that the non-borrowing spouse’s income must still be reviewed and/or considered as part of the application process. Other times, the final say may have more to do with the nature of the loan and the lender offering it. Some borrowers may want an FHA home loan on a manufactured home only to find their current lender doesn’t offer such loans for these properties. Borrowers who got an FHA loan at one financial institution and then choose to refinance with a different lender sometimes encounter differences with the new lender. It is easy to assume, for example, that the FICO score standards for one are the same at another. But such requirements can vary from place to place. Also, FICO scores aren’t the only criteria for FHA loan or refinance loan approval, so it’s also important to remember that your loan repayment history and other financial qualifications will factor into how the new loan is handled. Some borrowers get confused in the pre-qualification process, mistaking the pre-qualification for FHA loan approval. But the final approval for an FHA loan only happens once the lender has had time to verify the information provided by the borrower and comparing it to that lender’s standards and FHA loan rules. FHA minimum standards for FICO scores permit those with scores at 580 or higher to qualify for maximum financing (with a 3.5% minimum down payment). However, a lender’s standards may be higher (620 to 640 minimums in many cases) and this is permitted under FHA loan rules as long as the higher standards are applied in accordance with Fair Housing laws and other regulations. If a borrower’s application data meets FHA minimum standards, but not lender standards, the lender cannot be forced to issue a loan. Lender standards must also be met. Participating lender requirements apply in addition to FHA loan regulations, as long as those standards are in accordance with federal law, as mentioned earlier. If you are dealing with a new loan officer, take some time to discuss the previous terms you received and compare what may be available now. Even the same financial institution may have changed policies, rates, terms or other details since your original loan closed.